WOW!! What a performance~experience~sacred ritual on Sunday. 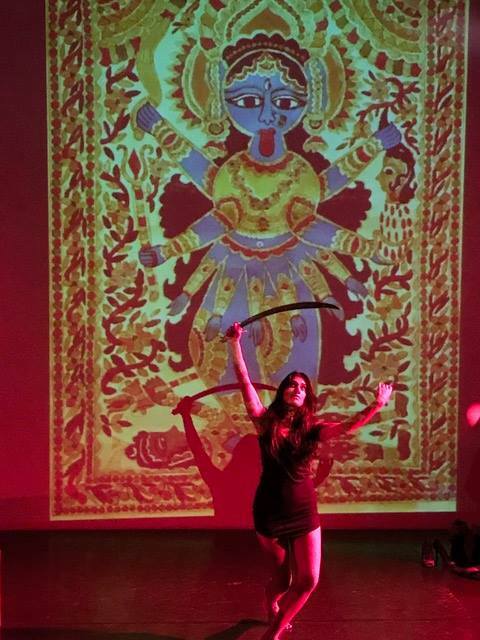 Jai Kali MA. I am changed. It was a huge reclaiming and re-membering. I am absorbing Kali’s words. This journey has been a re-birthing. I’m still integrating and receiving and cannot put many words to it for now. But I am so touched by the comments of so many after that the show had transmitted an empowerment to them in their bodies that they could FEEL. Kali was in the room for sure.